Hi Frugalistas! 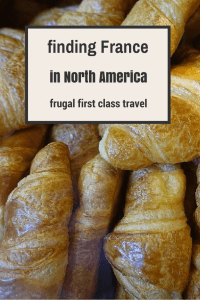 I’m really excited about this guest post from Anda Galffy of Travel Notes & Beyond. I’ve never been to South America, and while it’s not a continent I’m especially interested in, I am fascinated with Buenos Aires and its very Parisian air. Whether you imagine tango, Evita, soccer, fabulous steak or amazing architecture, I’m sure you will love this view of the Paris of South America! What’s the first thing that comes to mind when you think of Buenos Aires? Is it tango? Is it Evita? Is it soccer? All these may be embedded into the city’s life and culture, but there is so much more to it than that. A couple of years ago I wanted to surprise my husband for his birthday with a trip to Argentina. But in the end the surprised one was I. So come along and let me tell you about my experience. 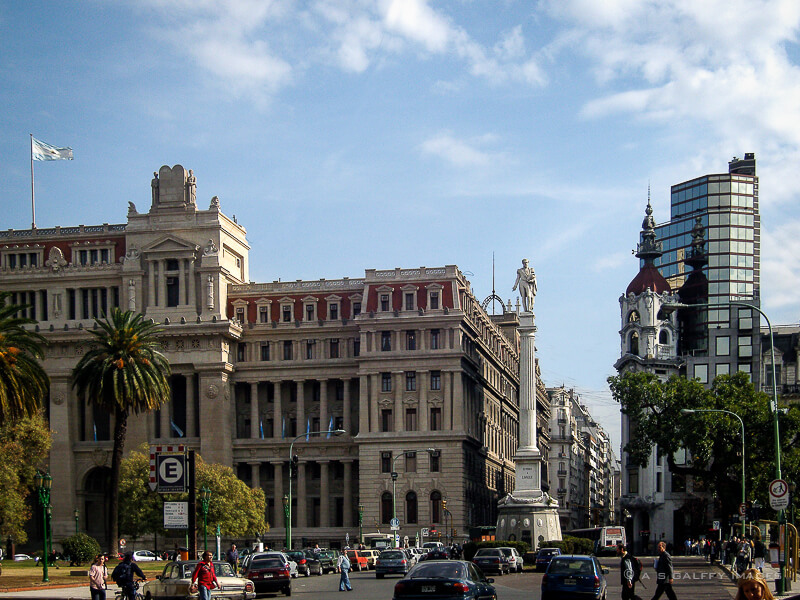 Buenos Aires is the second largest city of South America, with more than a million European residents. If you love Paris you’ll adore Buenos Aires. The Paris of South America, as it is also referred to, has an unmistakable charm that will capture your heart like no other. But talking about Buenos Aires’s charm is like stating the obvious. Its neoclassical architecture, wide avenues and cosmopolitan atmosphere rival its French twin. The first class boutiques, sidewalk cafés and luscious green spaces give the city an European feel that blends with the Latino spirit. The city is divided into little barrios (neighborhoods), each with its own personality. You have the modern Palermo, scenic Puerto Madero, beautiful Recoleta, business-oriented El Centro, timeless San Telmo, fashionable Las Cañitas and colorful La Boca – all contributing to the city’s cultural life and unique atmosphere. It is no secret that Argentina’s economy is doing poorly. Like in most Latin American countries, there is a lot of corruption within the government that in the end affects the country’s economy. Workers are on strike nearly every day and poverty is visible almost everywhere. You can see homeless and beggars even in the nicest neighborhoods of Buenos Aires. In the early 2000′s, because of the high inflation rate, visitors found Argentina incredibly expensive. But lately this has changed. In the last several years, with the pesos going into a free-fall, tourists found their dollars going way further than before. Besides the poor economic conditions, the government introduced strict currency exchange restrictions on its people, which triggered a black market. So the official exchange outlets will give you one rate, but if you use an unofficial trader you will get way more pesos for your money. Unfortunately, there is always a risk of ending up with some forged notes when you use the unofficial channels, but you’ll also get a much better rate than at the banks. So my advice is to ask someone you trust for recommendations, like your hotel concierge, or a good local rep, or an acquaintance. 1. The best beef you’ll ever eat is in Buenos Aires. Unless you are a vegetarian, eating the Argentinian beef is the most divine eating experience I ever had. Just by writing about it makes my mouth water. And for a full experience you can’t go wrong with La Estancia, a steakhouse that has been serving grilled meats for decades. 2. 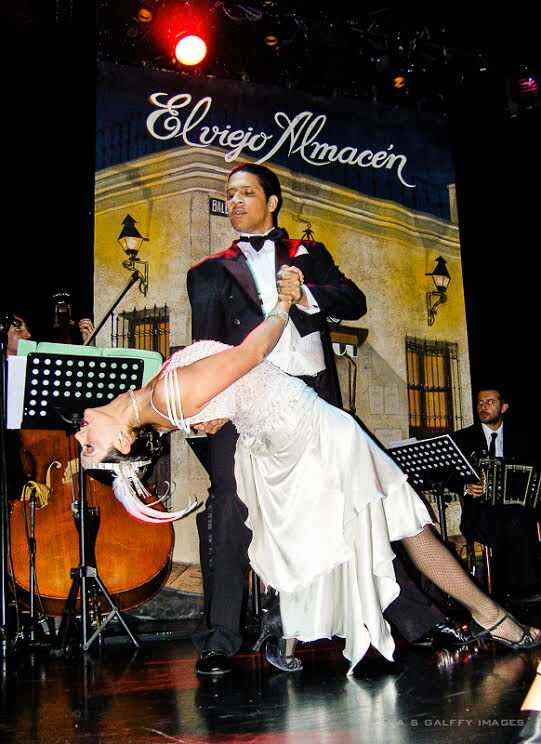 The best tango show you’ll ever see is in Buenos Aires. I don’t know how much you care about tango, or music shows for that matter, but until you’ve seen a tango show in Buenos Aires you haven’t seen a great show. For us the first one was decisive, because after that every single night we visited another venue, be it a café, or theater, or local bar where they featured tango. It would be difficult to say which one I liked the best because I was in awe of every single one. However, La Ventana is the one that sticked to my mind the longest. 3. 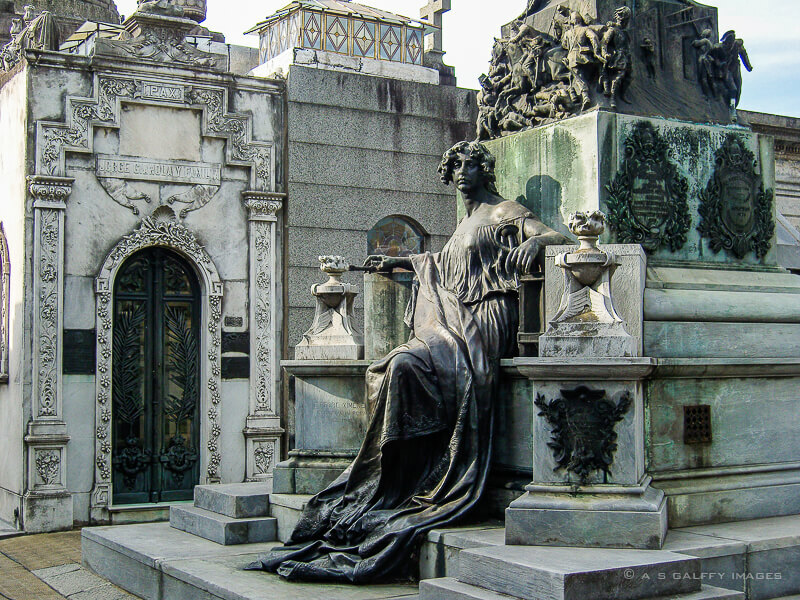 One of the most amazing and intriguing cemeteries you’ll ever see is in Buenos Aires. Recoleta Cemetery, also called the City of the Dead, is famous not only for being the final resting place for many Argentinian presidents and historic figures, but also for its architectural beauty and great statues. Some of the sculptures displayed here have been declared national historic monuments. 4. 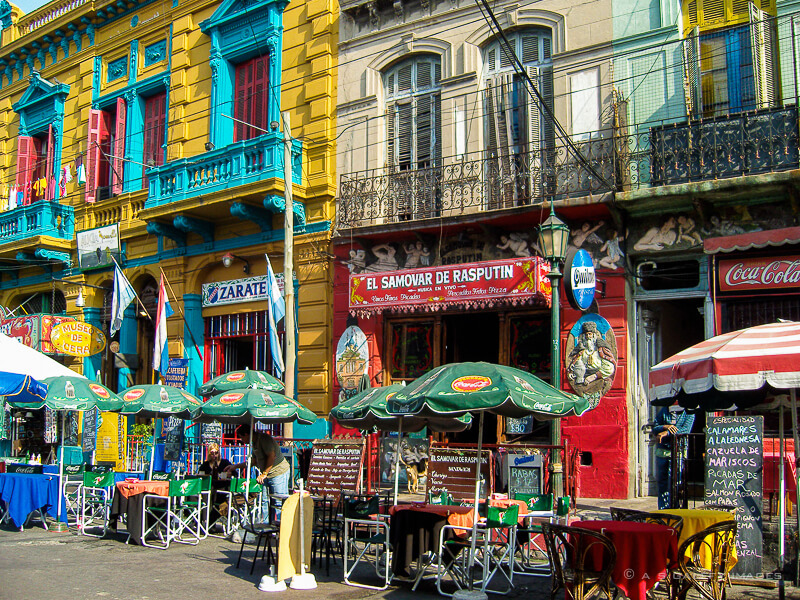 One of the most colorful and picturesque neighborhoods you’ll ever see is in Buenos Aires. Caminito is a traditional alley located in La Boca, a neighborhood of Buenos Aires. The place inspired the music for the famous tango “Caminito”, composed by Juan de Dios Filiberto. Safety in big cities is always a difficult topic and Buenos Aires is a REALLY big city. I said it and will say it again: there is no safe place anywhere if you don’t use common sense, look around you, know what you are doing, or expose yourself unnecessarily. Generally speaking, the city is pretty safe. We walked all over town till late at nigh, on narrow streets or wide boulevards, in metro stations, trams or some obscure areas, but never felt in danger. I think the biggest issue for the tourists in Buenos Aires is the petty crime – theft and local scams – and we had our share of it. In countries where the poverty level is high this is always a problem. The bank note switching is the scam you are most likely to encounter in Argentina. The way it works is this: you hand your cab driver a big peso note (100 pesos or even a 50 for a shorter journey), he takes it, flicks it between his fingers, then gives it back to you saying that he doesn’t have change for such a large note. Later when you try to use that note to pay for something else, they tell you it’s a fake. This is not likely to happen in an established store, but rather if you buy something on the side of the road or in taxis. So is the energetic and elegant Buenos Aires going to capture your heart like it did mine? There is only one way to find out…..
Anda Galffy is a Romanian-born travel enthusiast and passionate photographer with an appetite for writing. She is the creator of “Travel Notes & Beyond,” a collection of stories and travel impressions from her wanders around the world. 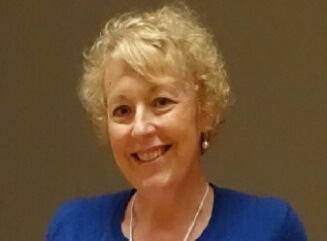 She writes the way she talks, with a unique style and tone – sometimes sarcastic and sometimes humorous – but personable and entertaining. Thanks for the great post! 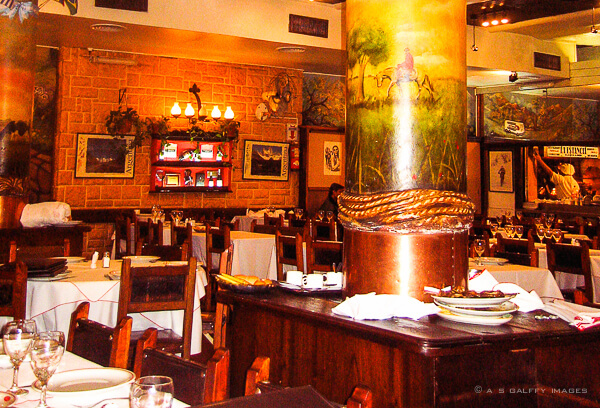 Buenos Aires is on our travel wish-list – for the steaks, the wine and the tango! Thank you! Anda has done a great job, and I love that photo of the tango! Thanks, Janice. It’s a great place to visit. Great post, glad you spent a little time in Recoleta, and saw the cemetery of course. Hope you spent some time walking around the rest of the area, I think it deserves more attention as one of the relaxing, historic and beautiful parts of the city. I started a website just about Recoleta, not done much yet, but love being able to research and write more about it! I knew about Recoleta, so was pleased that Anda covered it – it’s obviously an interesting destination in Buenos Aires in its own right. Good luck with your blog! Thanks Raymond, Recoleta is definitely the most upscale area in Buenos Aires with a wealth of attractions. Glad you enjoyed it, and happy travels! You’ll have a blast in Buenos Aires. Hope you’ll take a trip to Iguazu Falls also. 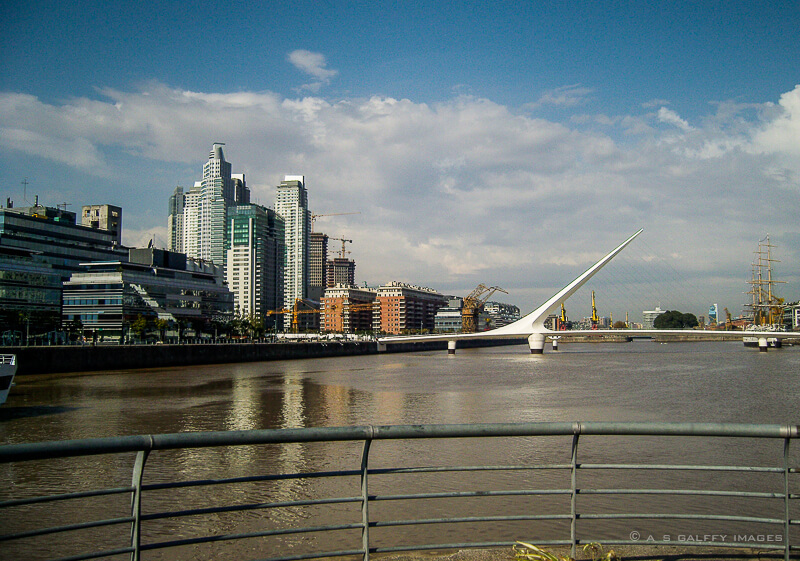 There is more about Buenos Aires on my blog if you are interested. We loved Buenos Aires so much we stayed 6 weeks, and once we left, we realised we could easily have stayed 6 months and not got bored! 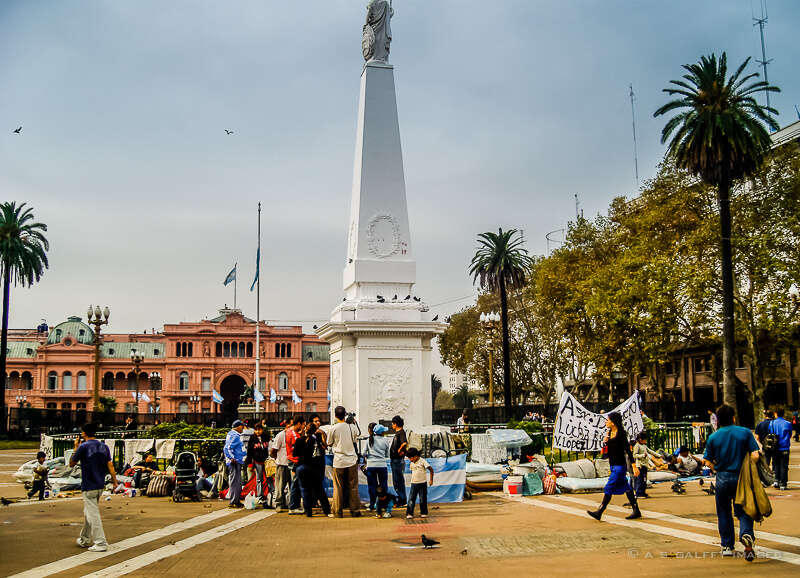 It’s such a shame for the residents that the economy is so bad; Argentina is such a wonderful country which really has so much to offer, it’s too bad that the government is so corrupt. Great to hear you enjoyed it so much Sam. Staying 6 weeks and wanting stay 6 months really does make it sound like Paris! You are so right, Sam. We stayed for two weeks and could have stayed way more and not get bored. Great tips on safety and some of the major areas in Buenos Aires! Caminito looks like a must see. Thanks for sharing!